Do you ever wonder what college kids watch on television these days? I don't because I've got a couple of kids currently in college. When they are home one of their favorite animated shows to watch is "Adventure Time" on Cartoon Network. Some people might think that's a little "geeky" but most kids (young and old) think it's cool. The main characters on the show are "Finn," a young boy who was abandoned in the woods when he was a baby and rescued by a couple who owned a dog named "Jake." The dog is the second main character and Finn's best buddy. The two reside in a magical place known as "The Land of Ooo." At first glance, this cartoon appears to be best suited for younger children, around 4 to 10 years-old. But after watching a few episodes, I understand why older kids enjoy the series. The writing is smart and witty, with a touch of irreverence. The stars of the show are Finn (the human) and Jake (the dog). Finn wears the same outfit in every episode, a blue t-shirt, shorts, a white hat with cub like ears, and he always carries a green backpack. Jake is a 28 year-old orange dog with big white eyes and no pupils. He became a magical dog after rolling around in "magic mud." He also wears pants which the audience can't see, they are transparent because they were made out of spider webs by pixies. Jake has a "girlfriend" by the name of "Lady Rainicorn." She is a rainbow colored unicorn that speaks Korean and has special powers. The two main personalities interact with a number of unconventional characters, such as the Ice King who is 1,043 years-old, Princess Bubblegum, Marceline (the Vampire Queen), Lumpy Space Princess (who acts like a "Valley girl," resembles a purple cloud, and is referred to as LSP), the Flame Princess (Finn's ex- girlfriend), and BMO (pronounced "Bee-Mo" - Finn and Jake's living video game). Part of the fun of being a fan of something is collecting special items or owning one thing that reminds you of your favorite character or program. Whether you're 5 or 95, it's always nice to have a cute plush character to hug or just look at. There are several items available from this popular cartoon. 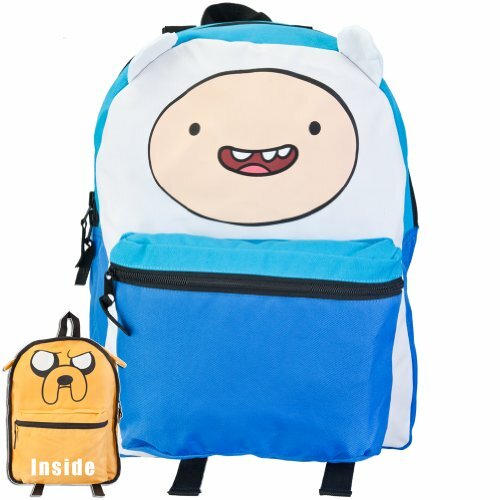 One item is the Finn/Jake backpack. It is reversible, so you can showoff one character one day and the other on another day. Not only is it cuddly cute but because it's a backpack and not just a doll, it's also practical. It has a zipper closure and it is sturdy enough to hold all your school supplies. 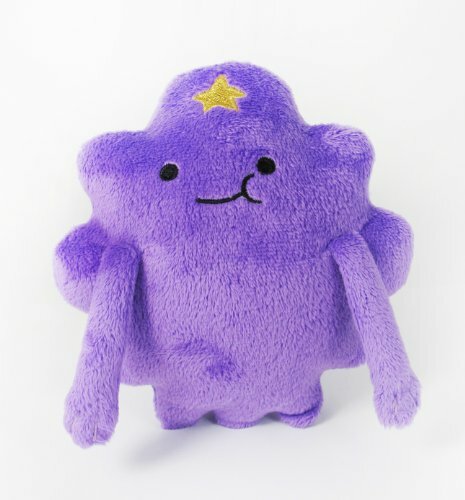 One of the funniest characters, and my daughter's favorite, is the "LSP" doll. This fluffy purple cloud speaks just like a "Valley Girl." The doll, like the character, says phrases such as "Oh My Glob" and "What the Stuff are ya Doin'?" It is a great gift for girls of any age, including college! There are so many different items that you can purchase, such as clothing, toys, videos, and more. While I can't say I'm an official fan of Adventure Time yet, I do watch the program from time to time when my children are home. I think all the characters are absolutely hilarious but I have to agree with one of my daughters that LSP is side-splittingly funny. My daughter has a talking plush doll of the purple lumpy cloud and I laugh every time I hear the Valley girl type of phrases from the stuffed doll. 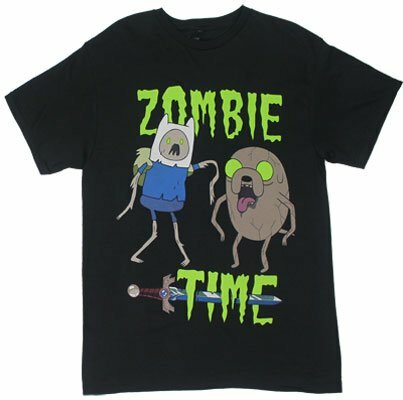 I don't consider myself a geek but I do think Adventure Time is growing on me.